Being Retro: iZombie vs. Munchkin... Rest In Peace! Meinhardt Raabe, who played the Munchkin coroner in "The Wizard of Oz" and proclaimed in the movie that the Wicked Witch of the East was "really most sincerely dead," has died. He was 94. His caregiver, Cindy Bosnyak, said Raabe — pronounced RAH'-bee — died Friday morning at a hospital in Orange Park, Fla. He was one of the few surviving Munchkins from the 1939 film. Bosnyak said he complained of a sore throat at his retirement community before collapsing and going into cardiac arrest. He was taken to Orange Park Medical Center, where he later died, she said. "He had a headful of hair at 94 and he ... remembered everything everyday," she said. "To me he was a walking history book, very alert." of the 124 Munchkins in the film classic and one of only nine who had speaking parts. He was 22 years old and a show business veteran, earning money for college as a "midget" performer, as they were called then, when the movie was shot in 1938. Raabe portrayed the diminutive Munchkin official who solemnly pronounces the witch dead after Dorothy's farmhouse lands on her: "As coroner I must aver, I thoroughly examined her, And she's not only merely dead, she's really most sincerely dead." His costume included a huge hat with a rolled brim, and dyed yak hair was used for his handlebar mustache and long beard. In a 1988 Associated Press interview, he said he had no idea the movie would become a classic, because at the time of its Advertisement Quantcast release, it was overshadowed by "Gone With the Wind." "It was only after CBS got the film in 1956 and used it for their promotions that it became as well known," he said. "There is nothing in the picture that dates it," he said. "There are no old vintage cars or old vintage streetcars. ... It's a fantasy picture that will be fantasy for generations to come." Raabe was about 3 1/2 feet tall when the movie was made. He eventually grew to about 4 1/2 feet. He toured the country for 30 years in the Oscar Mayer Weinermobile, promoting hot dogs as "Little Oscar, the World's Smallest Chef." He also enjoyed going to Oz nostalgia events and getting fan mail. "It's an ego trip," he said. "This is our reward, the nostalgia." In 2005, his book "Memories of a Munchkin: An Illustrated Walk Down the Yellow Brick Road," co-written by Daniel Kinske, was published. In later years, he lived in a retirement community in Penney Farms, Fla. 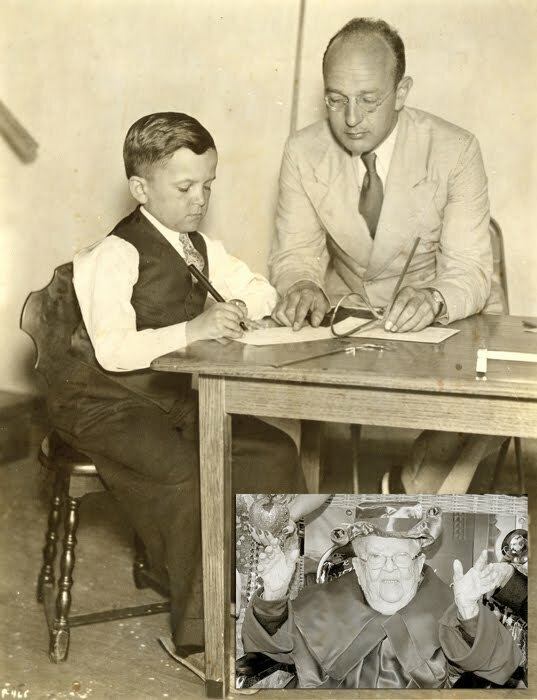 In 2007, Raabe was one of seven surviving Munchkins on hand when the Munchkins were honored in Los Angeles with a star on the Hollywood Walk of Fame. Raabe said he couldn't remember what he was paid for his role in the movie, but that it was very low. "By today's standards, people would say you were crazy to work for that," he said. Raabe, born in Watertown, Wis., in 1915, was a member of the Midget City cast at the Chicago World's Fair in 1934. He also performed at other fairs, including the San Diego Exposition in 1935. "By working at these world's fairs as a midget, I was able to work my way through the university," Raabe said. He earned a bachelor's degree in accounting from the University of Wisconsin and, years later, a master's degree in business administration from Drexel University. Raabe married Marie Hartline, who worked for a vaudeville show called Rose's Royal Midget Troupe, in 1946. She died in a car crash in 1997. Raabe said some little people resented the word "midget," but that was the description widely used when he was in show business. "My wife and I were both in show business, were both midgets. My wife worked from 1929 to 1932 as a member of Rose's Royal Midgets, the largest midget troupe in vaudeville," he said. Raabe became a regular visitor to the annual OzFest in Chittenango, N.Y., the birthplace of "Oz" author L. Frank Baum, after reading about it in a magazine in the late 1980s. "Meinhardt wrote us a letter and said, 'You know I'm a Munchkin. I was in this movie. Would you ever be interested in having me come.' Of course, after we stopped screaming ...," organizer Barbara Evans said in 1998. "Things didn't start to get really big until Meinhardt first came and we started getting the Munchkins to come," said Evans.